Bar Council of India has resolved to extend the date for filing of application for verification throughout the country up to 31st December, 2015. 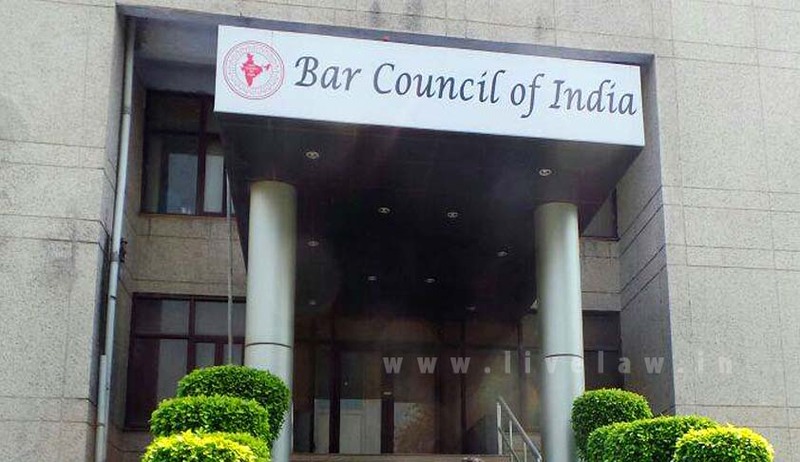 The notification says that the Council took note of the letter dated July 21, 2015 received from the Secretary, Bar Council of Maharashtra regarding implementation of ‘Certificate and Place of Practice (Verification) Rules, 2015’. The Council had, earlier in June, extended the date for verification up to 15th September. The new resolution says that the extension is being granted in view of letters received from several Bar Councils throughout the country, which said that the process is not likely to be completed by that date. The Supreme Court had, on August 29, stayed the proceedings under new ‘Certificate and Place of Practice (Verification) Rules, 2015’ which are pending before various High Courts. You may read the LiveLaw story here. The Petition before Kerala High Court had claimed that there is a patent discrimination in the issuance of the ‘certificate of practice’ “because it is not required to be obtained by advocates enrolled after the year 2010, but only by advocates enrolled prior to that year.” The Court had then stayed the operation of the Rules in June this year. You may read the LiveLaw story here. Karnataka High Court had however stayed the operation of the rules “only in so far as the petitioner is concerned“. Bar Council of India then moved a Transfer Petition in Supreme Court of India. It was called for hearing on 26th August and the Court stayed the proceedings pending before High Courts.